Stats run sports. 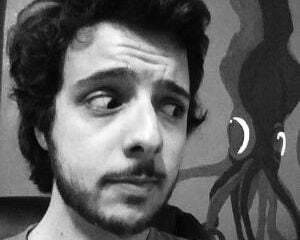 Yes, we have heartwarming stories of moxie and upsets and unexpected onside kicks right after the Super Bowl halftime show and they make for great narratives, but numbers are invaluable at easily quantifying what used to take a wicked good eye and more memory than is worth expending. Anecdotes say Cowboys quarterback Tony Romo is a choke artist who can't finish games. Numbers show that from 2008 to 2012, the number of game winning drives or fourth quarter comebacks he orchestrated increased each year, including five of the Cowboys' eight wins in 2012. 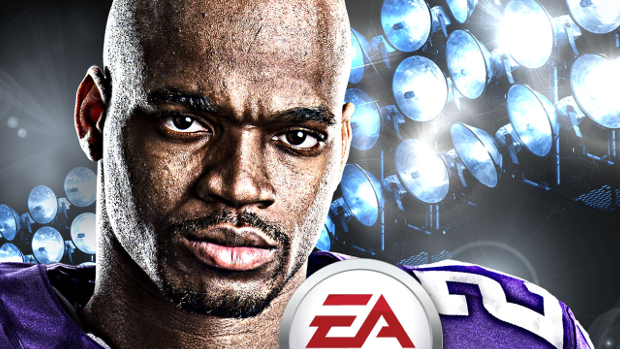 One the failings of Madden has been an inability to convey information and to teach football. Madden 25 took some steps to address this with the Skills Trainer, while CoachGlass goes a step further, actually working in-game to allow you to make informed decisions with an intuitive interface. CoachGlass is an application of Microsoft's second screen SmartGlass technology, which pairs the Xbox One with tablets or phones (iOS, Android, Windows). It acts as a defensive coordinator (and only on defense does it function) for a coach -- you-- that does their own play calling. It's likely that Microsoft encouraged EA to develop something for SmartGlass, which it has been shilling valiantly. Surprisingly, however, the result is something better than Madden's traditional, conventional play calling on defense. 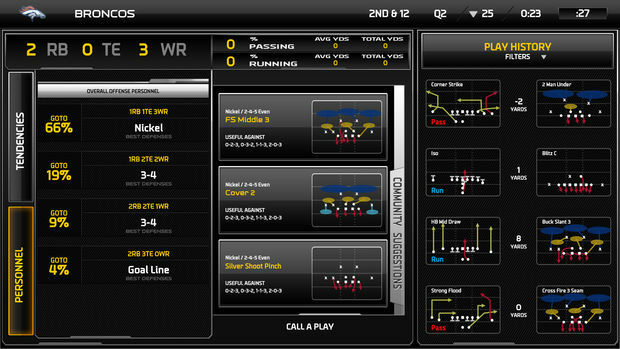 Rather than thumbing through a few cobbled together "Ask Madden" plays or fumbling through the enormous playbook while on a time limit, CoachGlass feeds you recommendations through real-life compiled Xbox 360 stats. If a particular defense works well against a certain offensive formation based on the personnel on the field, it will be suggested. You can easily select defenses with a quick tap, or scroll through other options, including a more comprehensive list of all plays called up to that point, including information about the result of those plays -- how many yards were gained by the offense and so on. There's some nice intuitiveness to the app. You can, for example, select a portion of field to focus on (9x9; left, middle, right; short, medium, long) and quickly get defensive plays in ready to, say, take away the short out routes I love to spam. The best thing, however, is simply that the app presents you with a lot of information in fairly digestible levels of detail. 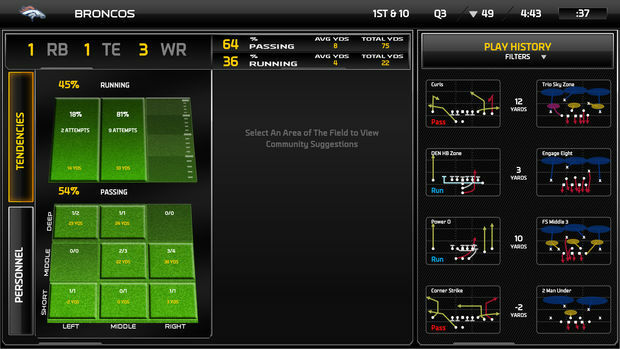 As games go on, the app will pick up tendencies of the opposing offense. You will know which players tend to be the go-to guys in certain formations or your opponents' pass versus rush tendencies on first down. A lot of these things are details a lot of us might pick up, intuitively or otherwise, but it's still helpful. It's also a lot of fun to engage with, because a lot of sports fans are giant numbers nerds. Mostly, I like the idea of EA giving the player more information to work with so they can then make informed decisions instead of picking plays that have the coolest looking play art. So unlike EA.